Dehydration is a common problem in all age-groups. Do you constantly feel fatigued throughout the day and thirsty even after drinking several glasses of water? This may be because your body is not retaining enough water and is asking for more. Summer is getting intense and the need to keep yourself hydrated has increased to the power infinity. In this scorching heat, your body tends to lose water and mineral salts at a fast pace, a phenomenon known as dehydration, which is a common problem in all age-groups. If not treated well on time, chronic dehydration could be fatal. 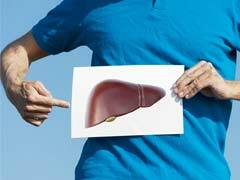 Dehydration disrupts metabolic processes and can affect all organs of the body. You may not get enough time to keep yourself hydrated, but considering the health hazards dehydration may have on your body, you must look at curing it immediately. According to our Ayurveda Expert MA Choudhary from AyurTree Herbal, drinking water can certainly prevent dehydration. "During a hot summer day, a person should generally drink about two to four litres of water so as to help in the proper functioning of the organs and boost overall health. Dehydration affects vital organs of the body like brain, kidney, liver, stomach, lungs etc by hampering the oxygen supply to the brain. Due to lack of water or moisture, the motility of vital nutrients and minerals decreases, and overall energy reduces because the brain gets exhausted and fatigued easily. As stated in the The Complete Book of Ayurvedic Home Remedies by Vasant Lad, take a teaspoon of natural sugar, add it in a glass of water, add one teaspoon of lime juice and then a pinch of salt and sip it throughout the day. It is one of the most effective remedies. Certain herbs can help too in treating dehydration. 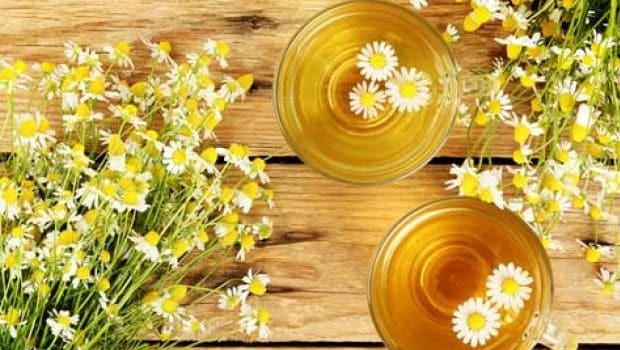 Chamomile is considered as a great re-hydrating agent, along with being an analgesic and de-stressing herb. It also comes as a de-caffeinated tea option that further helps you keep hydrated by replacing the fluids lost due to dehydration. Take about two to three dried chamomile flowers (or tea) in a cup of hot water and let it soak for 10 minutes before straining it. Have two to three cups of chamomile tea every day. Elderflower helps in reducing the body temperature and lessen the need of expelling heat from the body through evaporation. When evaporation comes down, fluid retention automatically goes up. Take elderflowers and crush them in to fine powder. Consume one-two teaspoons of this powder with water at least two times every day. You can also make a herbal tea and consume it daily for better results. Asparagus helps the body to retain fluids, thereby preventing dehydration. It is super rich in fiber that stimulates absorption of water in the body. It also cools down your body temperature in this heat. 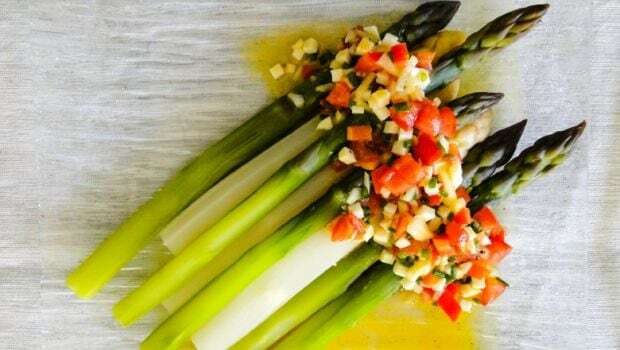 You can use asparagus in various salads and vegetables or consume in the form of tea, supplements, etc. 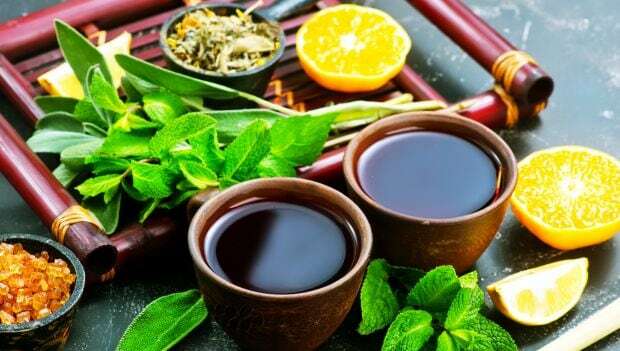 the form of tincture, herbal tea or even supplements. 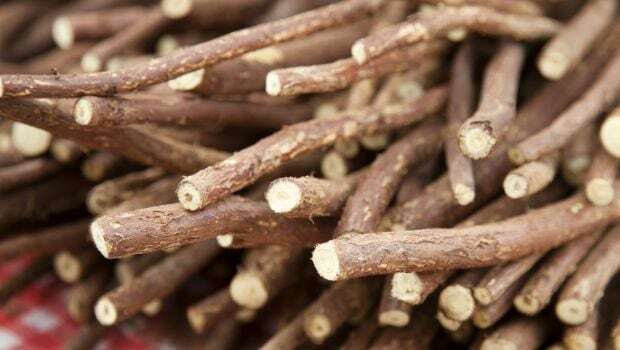 Licorice or mulethi is a favoured herb in Indian households and is used in several ways. It helps in cooling your body temperature and prevents heat stroke, dehydration and fatigue. 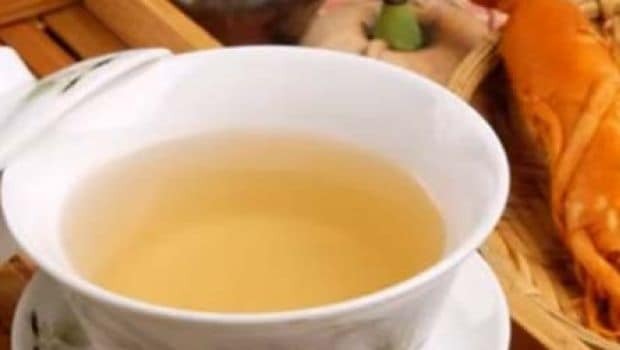 It can be consumed in the form of a decoction, further keeping the body cool and hydrated. Mulethi water can be consumed by soaking the roots in water for some time before straining it. CommentsTulsi, amla, pudina, neemleaves and coriander seeds also help in curing dehydration as they have a cooling effect on the body, further reducing pitta dosha and keeping your body hydrated. Although these herbs have positive effects on your body, it is recommended to consult your doctor or health expert before consuming them. The effects may vary based on the severity of dehydration.